The Astral Sea is a strange land unlike any other, in it’s waters float giant landmasses on the backs of the great slumbering earth spirits. The seas acts as a drain trap, things fall in and never quite leave slowly being change and becoming acclimated to the strange land. Sometimes a ship will sail into a fog in their own land and when it comes out the other side it sails on oblivious to the fact that they are now trapped in the astral sea… and it is not just ships that this can happen to. 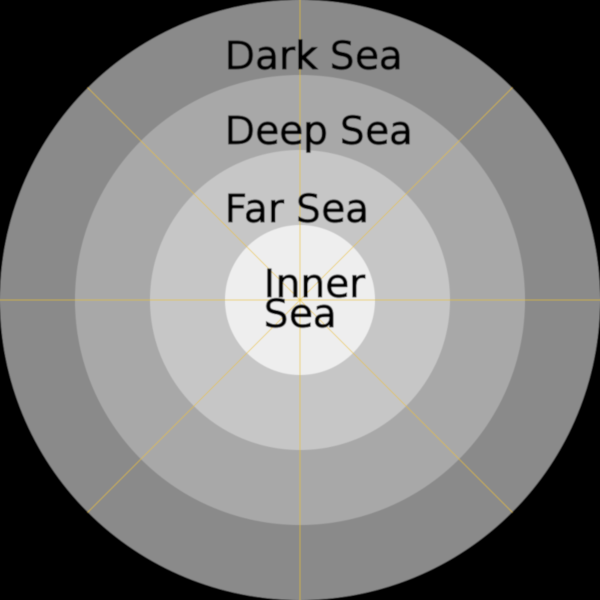 The Astral Sea is divided into 4 concentric rings, each is a seperate a separate time and place. Year Equivalent: Mainly Late Medieval (1200-1300) With some Pockets of older tech levels, [[Ixxiax?]] is mainly Stone Age, the [[Dying_Wastes?]] is mostly Iron Age / Classical.